Energy-efficient clustering is a well known NP-hard optimization problem for complex and dynamic Wireless sensor networks (WSNs) environment. Swarm intelligence (SI) based metaheuristic like Ant colony optimization, Particle swarm optimization and more recently Artificial bee colony (ABC) has shown desirable properties of being adaptive to solve optimization problem of energy efficient clustering in WSNs. ABC arose much interest over other population-based metaheuristics for solving optimization problems in WSNs due to ease of implementation however, its search equation contributes to its insufficiency due to poor exploitation phase and storage of certain control parameters. Thus, we propose an improved Artificial bee colony (iABC) metaheuristic with an improved search equation to enhance its exploitation capabilities and in order to increase the global convergence of the proposed metaheuristic, an improved population sampling technique is introduced through Student’s-t distribution, which require only one control parameter to compute and store, hence increase efficiency of proposed metaheuristic. The proposed metaheuristic maintain a good balance between exploration and exploitation search abilities with least memory requirements, moreover the use of first of its kind compact Student’s-t distribution, make it suitable for limited hardware requirements of WSNs. 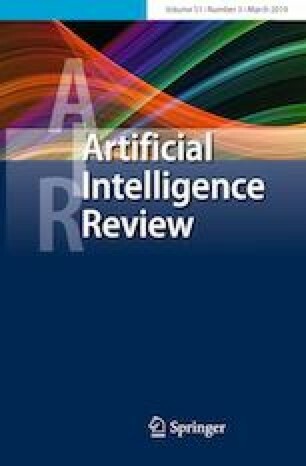 Further, an energy efficient bee clustering protocol based on iABC metaheuristic is introduced, which inherit the capabilities of the proposed metaheuristic to obtain optimal cluster heads and improve energy efficiency in WSNs. Simulation results show that the proposed clustering protocol outperforms other well known SI based protocols on the basis of packet delivery, throughput, energy consumption and extend network lifetime. The authors acknowledge I. K. Gujral Punjab Technical University, Kapurthala, Punjab, India.